A full stack software development and IT integration firm specializing in mobile software development, hybrid virtual reality software, and the Internet of Things. From top selling Android and IOS entertainment apps, to virtual reality content development services and first-to-market enterprise level software that handles millions of transactions per day with no down time, Code4Software can help you succeed with your mission critical software dependent initiatives. 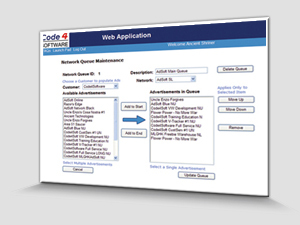 For over a decade, Code4Software has been creating enterprise quality software for Fortune 1000 corporations like IBM, American Express, Office Depot, Coldwell Banker, Mattel, and more. April 1, 2016 - It's no joke, V-Tracker 3.0 goes online! 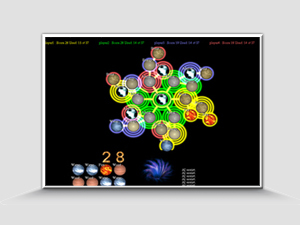 What was once Virtual Worlds Tracker is now Virtually Anything Tracker! 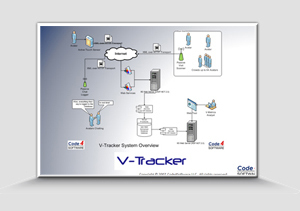 V-Tracker, the Internet of Things (IoT) appliance that can be used to track and monitor virtually anything. March 25, 2016 - Weed Farm Dealer gets over 75,000 Unique Installs on Google Play, all while being suppressed from the TOP charts. January 15, 2016- Code4Software forms new entity for future entertainment products: Elemental Entertainment New Media alchemists who formulate compelling content with lasting appeal. November 12, 2015 - Jared Freedman and Code4Software are the focus of an article published by Comcast Business on Building a Real-World Technology Vision. November 12, 2015 - Jared Freedman is invited to speak at the Mobile Growth LATAM 2015. November 6, 2015 - Weed Farm Dealer gets over 50,000 Unique Installs on Google Play. July 20, 2015 - Jared Freedman and Code4Software named by Comcast as most Innovative Entrepreneur for the Florida Region for 2015 Innovations 4 Entrepreneurs. March 21, 2015 - Weed Farmer Freemium garners over 500,000 Unique Installs on Google Play. Go Gold! August 20, 2014 - Code4Mobile is named a Round One Winner for the Samsung Gear App Challenge with the entry Champion Cup Soccer. 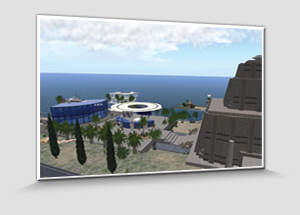 If you want to see what the the future of the Internet looks like, look no further than Second Life®. 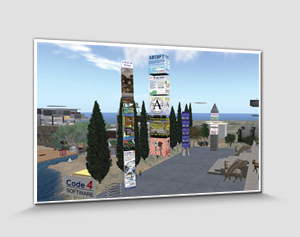 This is a 3D Virtual World that is created by the residents who live, work, and play there. Like the Internet was in 1995 compared to how it is today, so too is this VR technology in its early stages and will be many times refined. It's our belief, however, that it will eventually be the metaphor of choice. 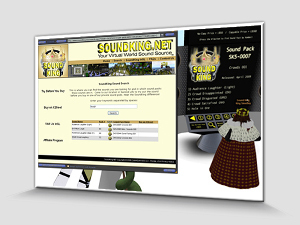 Even though we feel strongly that they robbed us of our successful In-World Advertising business back in 2008, they still got many things right.